Five years ago, Barrick’s data and storage servers were housed at five data centers around the world. Soon they will be housed at just one: the Switch data center in Las Vegas, Nevada. The consolidation is part of an aggressive push by Barrick to reduce costs and become more efficient in all areas of its business. Everything from mine design to energy management to data management and storage is constantly being evaluated for ways to innovate and improve. “Innovation is key to all we’re doing,” says Barrick’s Chief Operating Officer Richard Williams. “If our ambition is to be world class at an operational level, it’s not enough to have great mining assets. We must also develop our data management capabilities. Real-time visualization and data analysis is available today. Switch is a world leader in information technology services. Its data center campus in Las Vegas is the largest in the world, and located just 20 minutes from Barrick’s global information technology hub in Henderson, Nevada. The two-million square-foot campus is 100-percent powered by renewable energy and has more than 1,000 clients, including marquee companies like Google, Cisco and eBay. Founded in 2000 by Rob Roy, a world leader in data center design, Switch is the largest purchaser of telecom services in North America. This allows the company to provide telecom and Internet connectivity to clients at wholesale prices. As a result, Barrick will generate significant savings in its global networking costs. “We’re able to do some incredible things with Barrick in terms of cost savings, while improving the company’s Internet connectivity to South America, and other operational hubs around the world,” says Adam Kramer, Executive Vice President of Strategy at Switch. Barrick is transitioning its data servers to Switch in phases. The transition is about 75 percent complete with the last phase being the transfer of the company’s South American servers to the Switch data center. When the transition is complete later this year, Switch will be the global repository for Barrick’s Oracle and Livelink database applications, as well as the company’s email servers. Barrick’s partnership with Switch is rooted in a chance meeting in 2013 between Switch Founder and Chief Executive Rob Roy and Michael Brown, President, Barrick U.S.A.
Brown took Roy up on his offer and was amazed by what he saw. Barrick’s decision to consolidate into one data center occurred at roughly the same time that Brown was becoming acquainted with Switch. At the time, Barrick was also looking to shift its information technology function outside of its corporate headquarters in Toronto. 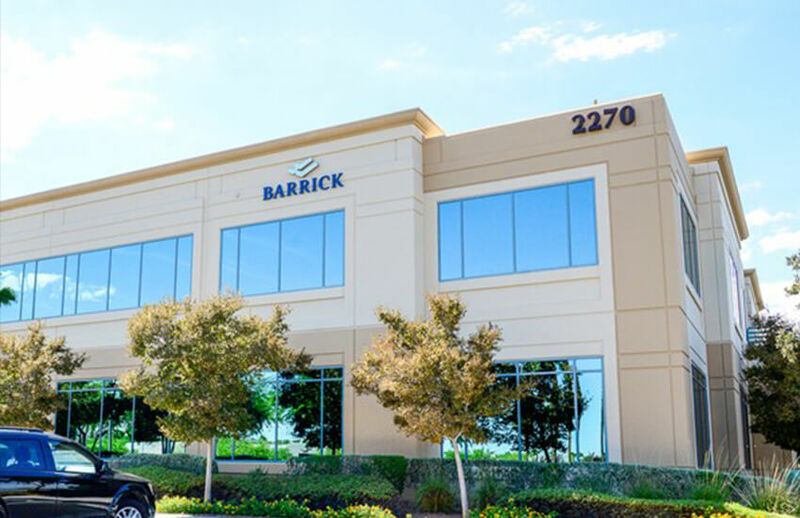 Brown, along with several colleagues who had toured Switch, recognized that not only would Switch be a good fit for Barrick, but that there was an opportunity for Barrick to establish its global information technology hub in southern Nevada. Nevada is home to Barrick’s Goldstrike, Cortez and Turquoise Ridge mines. All are located in the northeast region of the state, and collectively the company employees nearly 4,000 people in northern Nevada. But, while Barrick supports numerous community development activities in southern Nevada, it had never had a permanent presence there before 2015. The Henderson office, which officially opened last September, changed that. The office currently employs 55 people, nearly half from southern Nevada. By year end, headcount is expected to grow to 75 employees. “Establishing the office in Henderson has benefited from the proximity of Switch and generated new jobs in a region still feeling the aftershocks of the Great Recession,” Brown says. Both Brown and Switch’s Kramer believe there will be opportunities for the two companies to partner on community development initiatives in the southern Nevada area. NOTE: This is a republished version of an original article written by Stuart Weinberg, external communications manager with Barrick Gold Corporation. His featured story appeared on Barrick’s Beyond Borders website on February 28, 2016.